Not only is this the first domino to fall in what’s likely to be a long line of destroyed political careers scattered from coast to coast in the U.S., but it’s also another lie that Redflex has been caught in. For months now, they’ve been denying that their company or anyone associated with it is being investigated by the Feds. Well, that’s an interesting claim, in light of today’s arrest of the man at the center of the Redflex-City of Chicago Bribery Scandal, as a result of an ongoing Federal Investigation. A retired Chicago official who managed the city’s red light camera program for almost a decade was arrested Wednesday for allegedly accepting hundreds of thousands of dollars in bribes to steer city contracts to Redflex Traffic Systems, Inc.
John Bills, 52, is accused of receiving cash bribes and other forms of payment, including a $177,000 condominium in Arizona. We’ve said all along that this scandal will eventually lead to the demise of Redflex and this arrest is actually ahead of schedule. 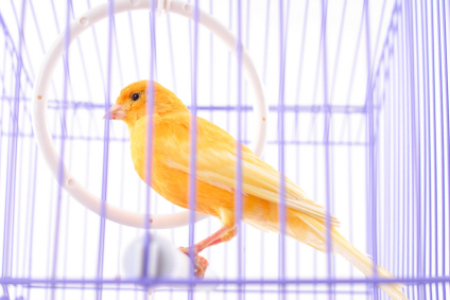 When Bills sings like a canary to get some sentencing leniency, who knows what will come out of his mouth. Better run for cover, politicians with Redflex ties. This won’t be pretty. “Redflex has no shame, and no qualms with deceitful statements. Just Monday, a representative of the City of St. Peters, MO read a letter in an attempt to thwart the St. Charles County Council from allowing their residents to vote to ban Redflex’s systems. The letter supposedly written to them by the “Redflex CEO” stated that there was “misinformation” being spread and that Redflex and their employees were not under any indictment, or Federal Investigation in 13 states for bribery, fraud, or corruption. Redflex also issued a laughable release to the Australian Stock Exchange (ASX) in advance of what should be yet another blood letting. If you need a cheap laugh, here it is [link]. Needless to say, this saga will continue in entertaining fashion. Pictured above: John Bills locked up in his cell and preparing to sing.. The Scamera bandits and their hired apologists like Red Means Stop just can’t seem to help themselves. 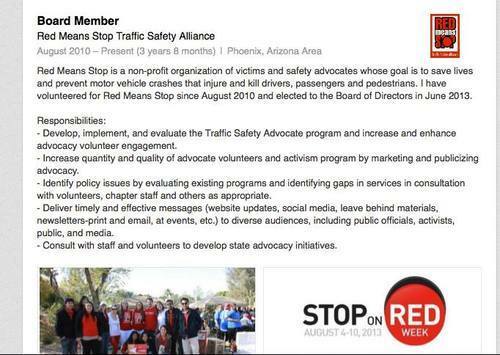 You may remember that Red Means Stop is bankrolled by Redflex and American Traffic Solutions. It’s so lovely when those two can work together to create nausea inducing phony public awareness campaigns. The key to getting people hooked on bad habits for life is to start them young. Just ask tobacco and alcohol companies, who notoriously catered their ads to minors for decades.It serves as no surprise then, that a failing industry like photo ticketing would be looking to youthful advocates in an attempt to indoctrinate impressionable go-getters and score a new face for their scam. It looks like a woman named Jordan Hibbs, of ASU, has been snatched up by an American Traffic Solutions/Redflex front group. As it turns out, she may just be the perfect person to assume their spokes person roll. Jordan admits, she’s not afraid to “fake it” as long as it elevates her status in the process. More on that is coming up. This dark side of propaganda certainly has not escaped red light camera and photo radar companies. In fact, their astroturf front groups like Red Means Stop fill their coffers with hefty donations from the two profit-driven camera vendors, Redflex and American Traffic Solutions. The organization will then advocate for “safe roads,” but conveniently ignore best practices to achieve that goal, like longer yellow light times. They instead claim the only solution is to put up cameras. It’s more than a cozy relationship, it’s dishonest and damaging to the safety goals they claim to advocate. Enter Jordan Hibbs, a high profile attendee of Arizona State University. She has amassed what would appear to be quite a following on Social Media, specifically Twitter, where she boasts 18k followers. That high of a number for someone who isn’t a public figure didn’t make sense to one ASU student who did some investigating and pointed out that most of this following was fake and probably purchased by Hibbs. Hibbs admitted as much in a mea culpa press release, posted on her website. Admitting you have a problem is the first step, Jordan. But dark times await this young politico, or “Political Tool,” as AZCentral.com called her. She not only still works for Wrong on Red and ATS/Redflex via proxy, but she’s now listed at secretary for the group. If she was truly interested in advocating safe driving, she’d ditch the triangle of fraud that exists between her organization and the two vendors who make money by shortening yellow light times and lying about their products’ safety record. Stick with these folks, Ms. Hibbs, and you can throw any hope of restoring integrity out the window. You’ll be longing for the days that you only had to apologize for buying some fake friends online. Alas, another year has gone by where drivers in 33 states were having their wallets drained by flashing boxes in intersections and creepy vans parked along the side of the road. 2013 also marked the largest and most widespread scandals the industry has ever been exposed for and it only promises to get worse for Redflex, American Traffic Solutions (ATS), Affiliated Computer Services (ACS – Xerox) and others in the new year. A Cincinnati area Judge really put the hammer down hard on red light cameras in a nearby village. He ruled Elmwood Place and Optotraffic in contempt of court for continuing to issue photo tickets for months after he initially ruled them illegal. 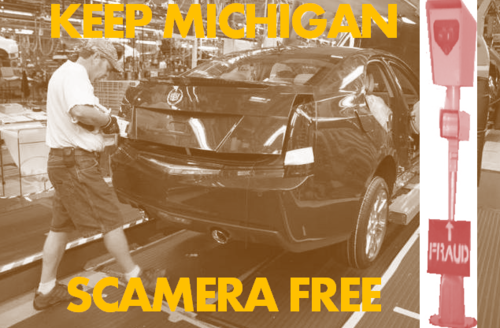 We are proud to say that this website actually sounded the alarm in Michigan when a camera shill of a legislator was trying to sneak through a Red Light Camera bill back in May. Michigan Campaign for Liberty’s Tony DeMott lead the rally cry to successfully defeat the cameras before a single one could be installed. Thanks Tony! State Legislatures in Arizona, Florida, Iowa, Missouri and Ohio all advanced bills in their 2013 sessions to make red light cameras and photo radar completely illegal. Citizen backlash against the unconstitutional camera systems has demanded legislators file these bills – in some cases under major duress! Expect these states as well as others to take the issue up again in 2014. After all, the Cameras Are Coming Down! Missouri courts spend the last 4 months of 2013 absolutely obliterating the state’s red light camera scheme. In September, they deemed that it violated due process. In November, the 2nd highest Court in Missouri ruled that red light camera programs are unenforceable and thus void. Later that month, the MO Appeals Court agreed and upheld that ruling. And in December, the MO Appeals Court ruled that red light cameras are unconstitutional! 2014 should be the end of red light cameras in Missouri and the court system, not legislature, will be the ones to thank for that. And they say Journalism is dead in this country. 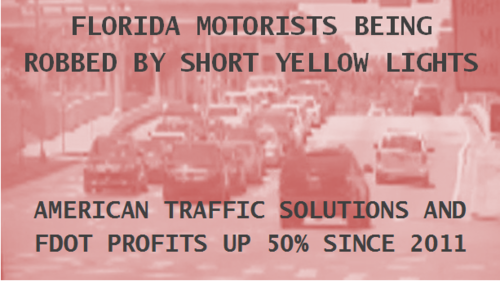 One News Affiliate in Tampa Florida proved that it’s still alive in 2013 when they blew the doors wide open on a $50 Million dollar yellow light shortening scheme being carried out by American Traffic Solutions and several municipalities. They estimate that $50M figure is what’s been stolen by ATS by lowering yellow light duration to illegal and very dangerously short durations. And now the Granddaddy of them all and the scandal which rocked the entire mafia of photo ticketing, the Chicago Bribery Scandal. To prop up their $80M per year photo ticketing racket, a few palms need to be greased, right? Chicago is no stranger to this form of corruption, but the city never seen a scandal with bribery that tallied as much money as Redflex was dishing out, under the table. 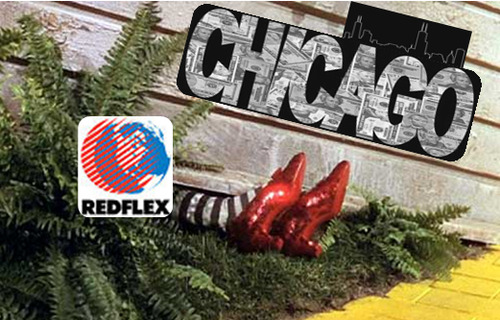 In true Chicago style, the contract with Redflex, which was announced to be dead and gone in 2013, by Mayor Emanuel, has been quietly extended to January of 2014. When the Redflex cameras are finally shut off, and they will be, that company will plunge into multimillion dollar deficits from which it will be nearly impossible to dig out of. 2013 brought more citizen, lawmaker and court backlash against red light cameras and photo radar than ever before. It will only continue to grow and crescendo in 2014! Happy New Year and keep motoring! Mary Rose Wilcox, of the Maricopa County Board of Supervisors, who is little more than a crook with a fancy title, was in her little red Corvette, riding through the ‘hood. Things went sideways in a hurry when it looks like she burned up a turn, most likely to impress her ride-along activist pal and somehow the front end of her car was mashed up pretty badly. Sometimes this thrill seeker can even run red lights that don’t exist! How mysterious! Well, that’s according to Maricopa County Supervisor Mary Rose Wilcox and her accomplice, Lydia Guzman. In an article published today in The Phoenix New Times, a “red light runner” was accused of causing an accident that damaged Mary Rose’s taxpayer-funded red Corvette. Somehow a “red light runner” ran a nonexistent red light at this intersection and smashed into Mary Rose Wilcox’s red Corvette. How would that be possible Mary Rose? Just as the Mayberry-ish Town Council in Paradise Valley sold their residents and visitors down the river to beleaguered Redflex Traffic Systems on a 5 year contract, media outlets are finally reporting on license plate scanners. PV has agreed to install these scanners all over the town and they’re using Redflex to do it. Something more savvy motorists and privacy experts have known for years is finally being reported on. Companies like American Traffic Solutions and Redflex, along with police agencies are scanning every driver’s license plate they come in contact with. That data is stored, saved for years in some cases and used for Federal data mining by the Department of Homeland Security (DHS). It’s no surprise that (former) Secretary of DHS, Janet Napolitano would want to track innocent motorists and spy on their every day activities. Her now defunct freeway photo radar dragnet, installed and run by Redflex was performing that task on a massive scale in Arizona. She was quickly promoted to her post at DHS as “Big Sis,” which she resigned from last week ahead of what are likely to be major scandals brewing which will be far worse than this one. Sadly, in Napolitano’s home state Arizona, some municipalities still have little regard for privacy, such as Paradise Valley. That town has just agreed to a 5 year contract extension with scandal-ridden Redflex Traffic Systems which will add license plate scanners to their data mining repertoire. 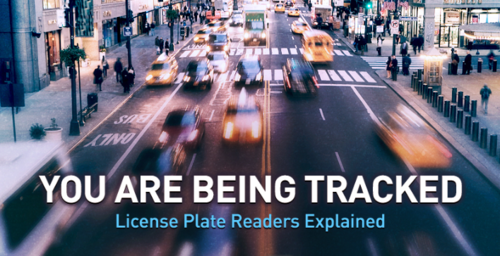 Hundreds of news outlets in the U.S. alone have reported on the findings by the ACLU that license plate data is stored for years by various municipalities, but one in Indianapolis spilled the beans that this info is being sent to DHS. The video clip below paints a grim picture of out-of-control surveillance by police and private companies of innocent motorists. Phoenix Runs for Cover from Scandal – Where does the next Redflex Shoe Drop? Who will be next to be caught up in Redflex’s scandalous wake and find themselves nursing door knob inflicted bruises on their rear end? Geographies was an interesting choice of words by the new Redflex EVP. Could that “geography” be Phoenix…. or could it be ARIZONA? That’s right DPS, we’re looking your way. Where else is the bribery happening? Redflex says their shoddy internal investigation has uncovered two other locations, but of course that’s just a cover story. Of course there are more than two and it’s hard to imagine that bribery isn’t just standard operating procedure at Redflex. So, where else has bribery happened? 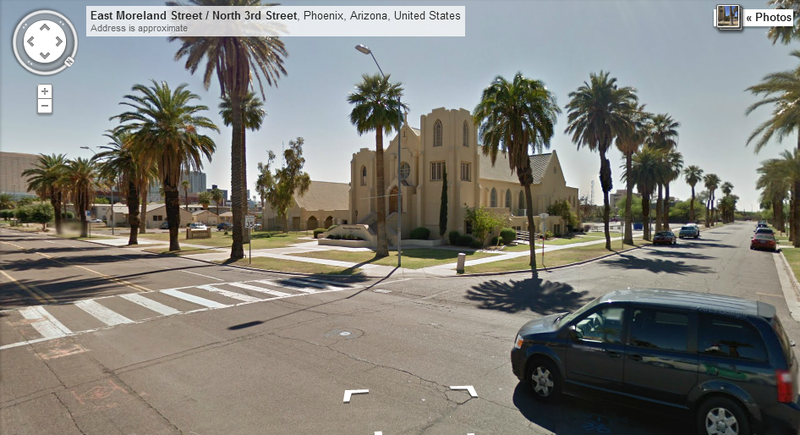 It has to be in Arizona, though there is no publicly available evidence to back it up, yet. If you’re a politician you have two choices. Choice A: Continue to run for cover and deny, deny deny. Then go to bed every night just hoping on top of hope that your name is never revealed. Have fun with that nightmare. Choice B: Spill the beans on your cohorts before they do the same thing to you. It will make your involvement seem miniscule and may actually propel your career. Be the one who tells the truth about the Redflex scam and see your stock skyrocket. It’s a pretty easy choice to make, but of course Arizona legislators like Rep. Karen Fann, Rep. Sonny Borrelli, Rep. Victoria Steele and Rep. Juan Escamilla choose to run for cover because they prefer cowardice to valor. Meanwhile in Phoenix, Paradise Valley, Tempe, Chandler, El Mirage, Prescott Valley and everywhere else that Redflex has left their stain, the city council members are hiding under their desks and silent. Redflex Traffic Systems Inc. may have just entered a black hole that investors, politicians and any other fools who have broken bread with these crooks will be unable to avoid getting sucked in to. Welcome to the rabbit hole, Redflex apologists. This one’s going to be painful and deep. 3 more investor alerts , , , were sent out tonight regarding the fallout from the Chicago bribery scandal, none of them contained good news for the scamera vendor or their cohorts. The company reported profit for the six months ended December 31, 2012 were cut in half from $7.2 million to $3.6 million thanks to growing resistance to automated enforcement. The firm reported 101 installations were removed, but only 54 new locations were added in six months. So far, the company has also spent $1.2 million in legal fees related to the Chicago scandal. When Chicago’s red light camera contract expires, Redflex will lose another 13.6 percent of its income. The company also warns of the possibility of bribery revelations in other cities. “The current investigation may identify other instances of similar dealings with the city of Chicago and/or other jurisdictions,” Redflex admitted to investors. The fact that Redflex is having to admit that this bribery scandal is just the beginning is very telling. They’re conceding that other bribery allegations are about to surface from other cities and states and there’s nothing they can do to stop it. Redflex Death Watch 2013 has reached a quickening pace! Q: What does this mean for Arizona? A: It means that every politician and bureaucrat in this state with ties to Redflex, including DPS, ADOT, Governor Brewer, almost every single state legislator since 2008 and city council members, including mayors, on the list below should be put on warning immediately. Chicago-style corruption will not be tolerated and certainly not when it’s been uncovered. The Chicago Tribune is proclaiming that the Redflex bribery scandal “would rank among the largest in the annals of Chicago corruption.” With the reputation Chicago has for massive corruption, this is a horrifying revelation for anyone associated with the company, especially those who could be locked up for accepting bribes. 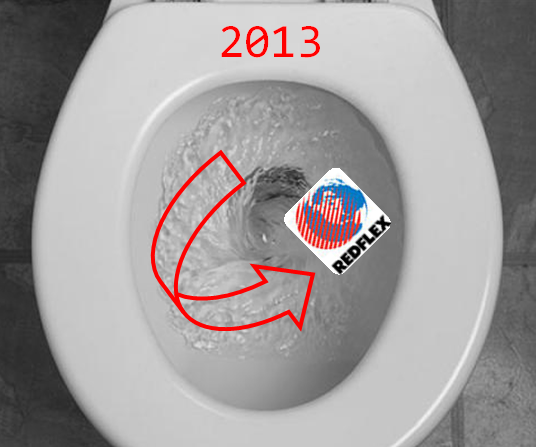 Look out below mates, Redflex is circling the drain!